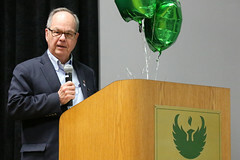 According to the Administration on Aging, people 65+ represented 14.5% of the population in the year 2014 but are expected to grow to be 21.7% of the population by 2040. 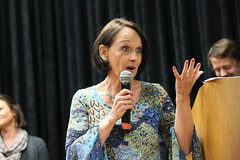 Many of these older adults face difficulties related to aging and chronic conditions that impact activities of daily living and quality of life. 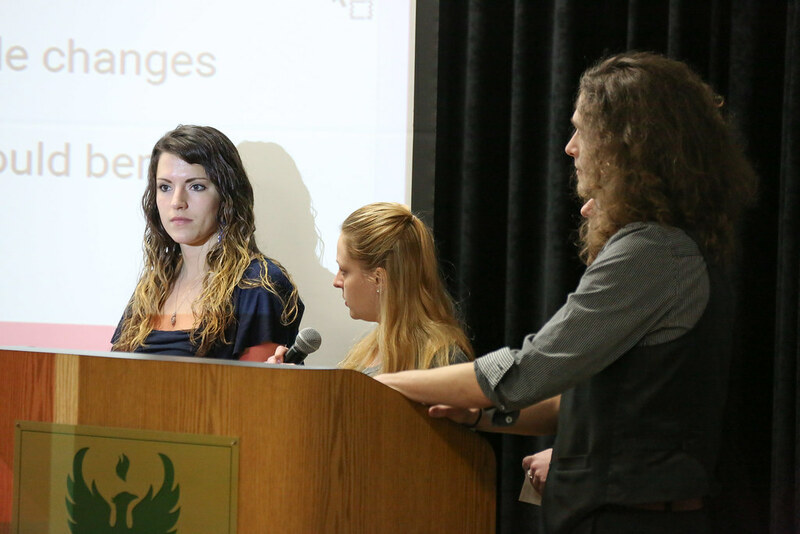 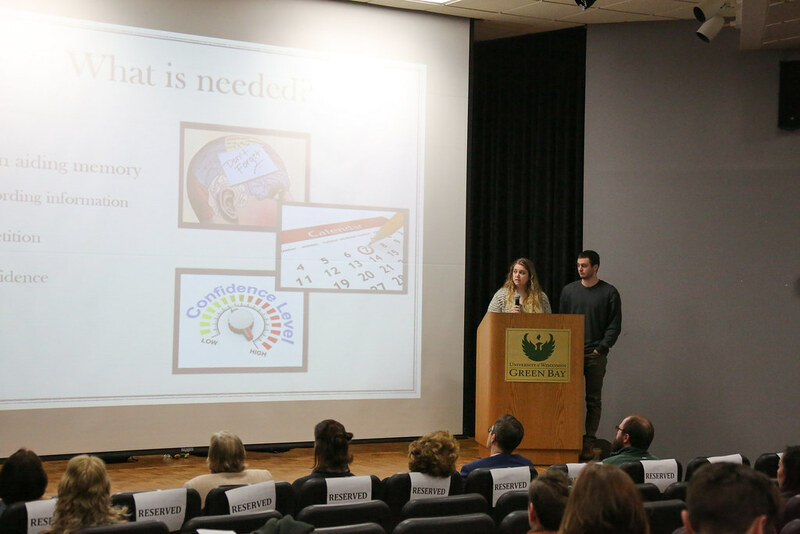 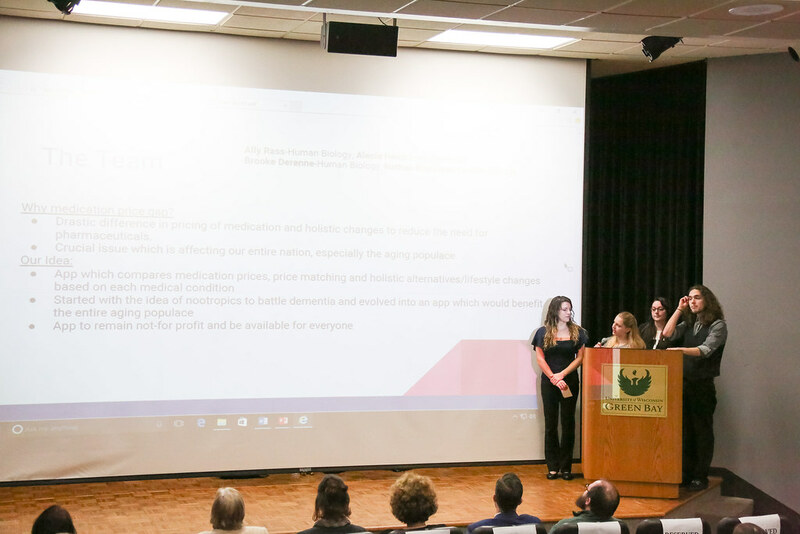 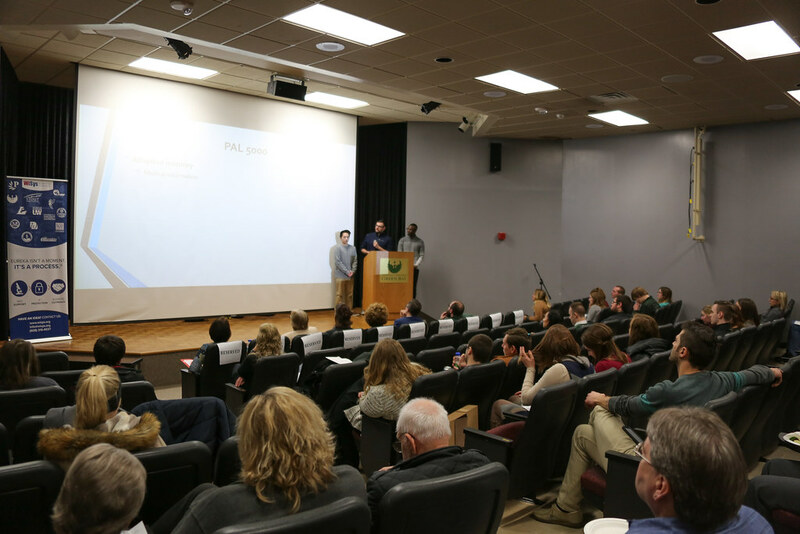 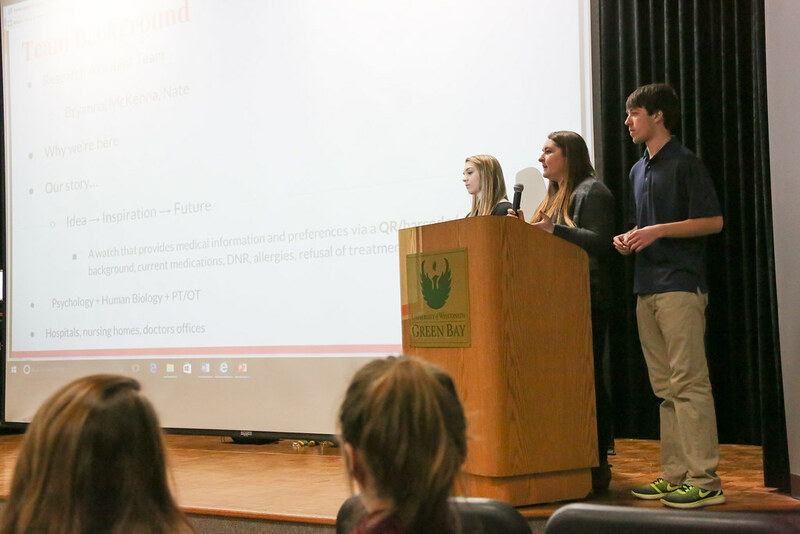 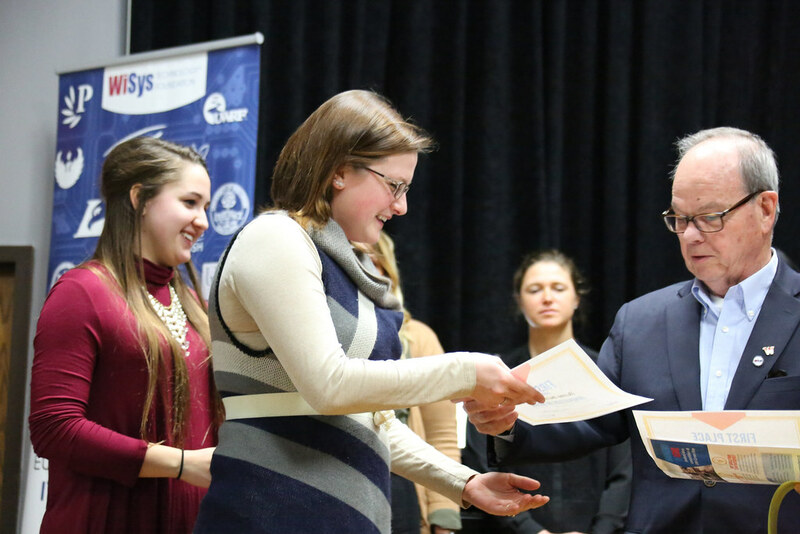 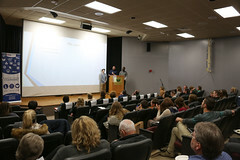 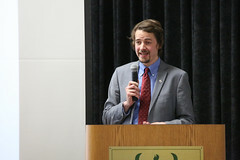 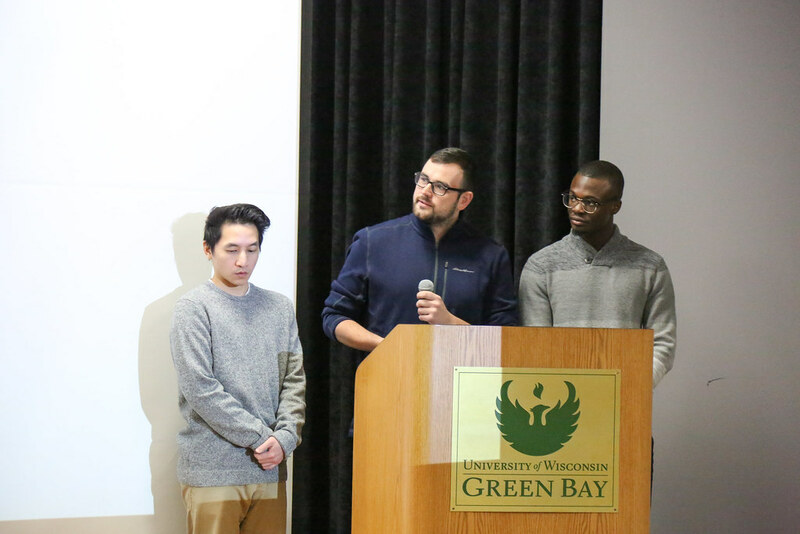 Nine student teams went head-to-head at UW-Green Bay March 3 to confront these difficulties and create innovative solutions to a myriad of problems associated with aging. 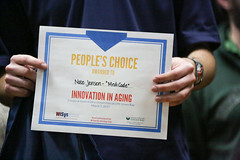 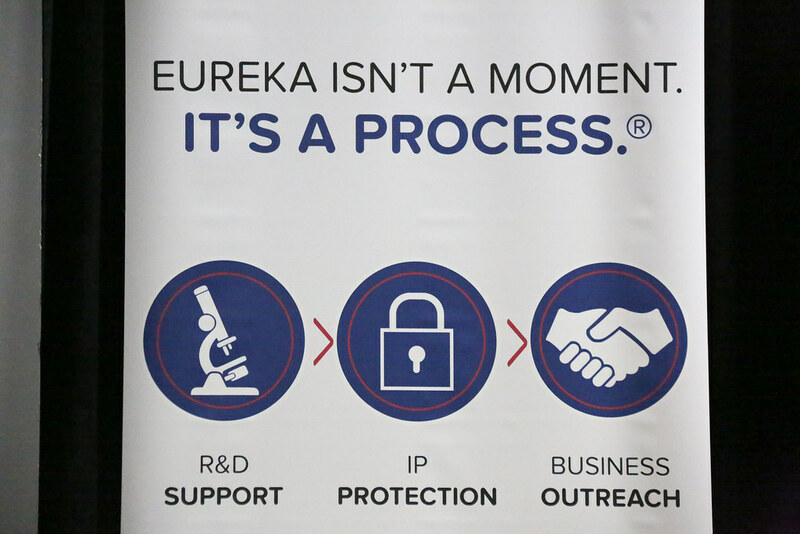 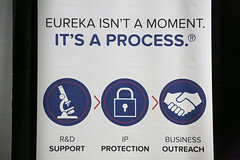 After a two-week brainstorming session, teams were given just eight minutes to explain their background research into an issue and convince a panel of judges that their innovation could improve the quality of life for an aging population. 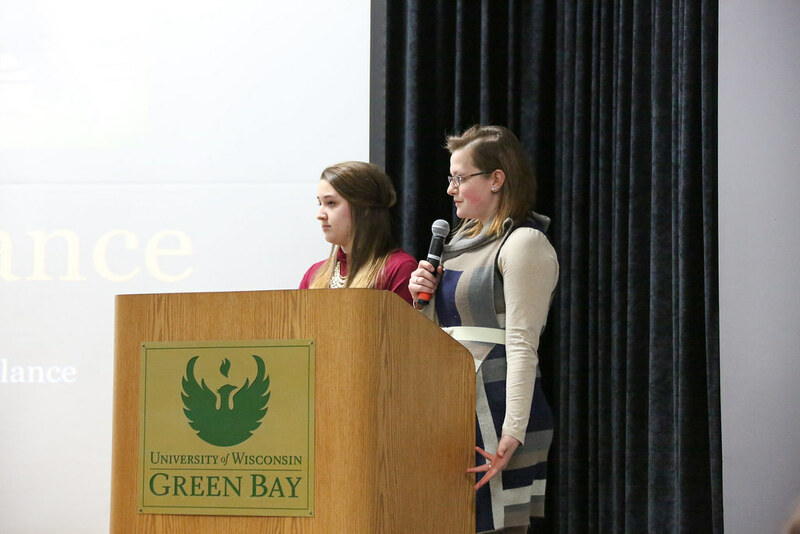 UW-Green Bay Environmental Design students Kennedy Wendt, Pauline Balza, and Yosra Maatallah created the winning project, titled, “storAGE.” They designed a kitchen cabinet rail system that reduces the reach, strength and balance required to load or unload items like dishes and food. 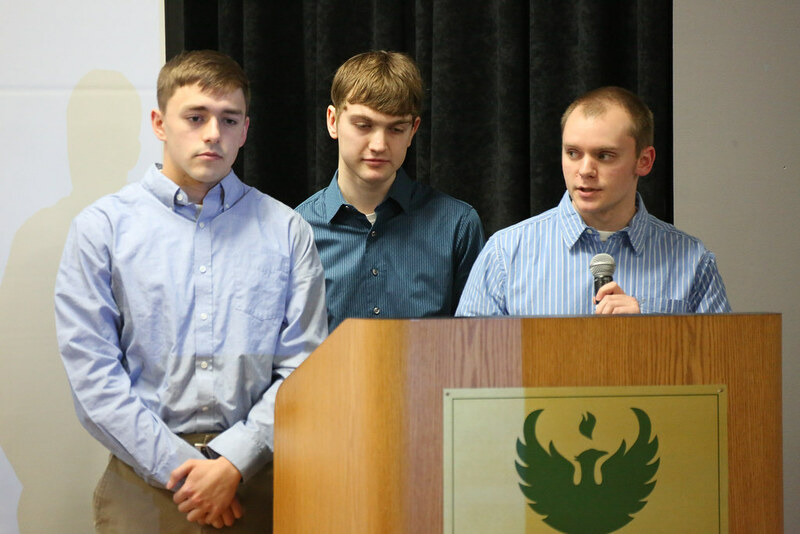 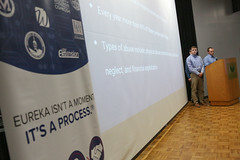 The storAGE team won a $500 cash prize from WiSys Technology Foundation for their winning project and presentation. 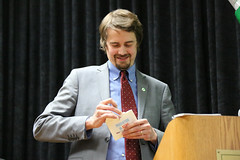 (Photo above: David J. Ward, Chair of the WiSys Board of Trustees, presented the first-place prize to team members Kennedy Wendt and Pauline Balza for their project titled “storAGE” *not pictured: Yosra Maatallah). 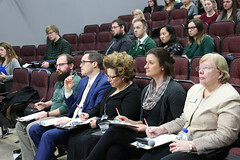 The judging panel tasked with choosing the first-place team included Ellen Krabbe, Founder of FRESCO Services; Devon Christianson, Director of the Brown County Aging & Disability Resources Center; LaReina Tipping, Director of Home & Community Services at Curative Connections; Ryan Holzem, Assistant Professor of Engineering Technology at UW-Green Bay; and Matthew Geimer, Associate Lecturer of Business Law at UW-Green Bay. 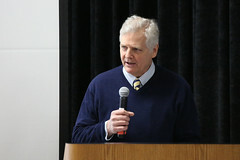 Throughout the day, audience members were also asked to vote for their favorite team presentation to choose the winners of a second prize, the People’s Choice Award. 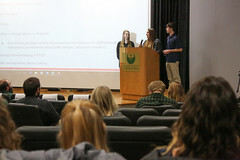 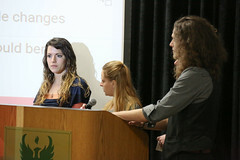 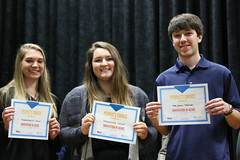 UW-Green Bay Human Biology student Bryanna Blochowiak and Psychology students McKenna Garvey and Nate Jensen took the People’s Choice Award for their project, “MediCode,” which designed a technology that would enable first responders to quickly access patients’ medical records in an emergency (photo 24). 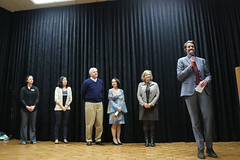 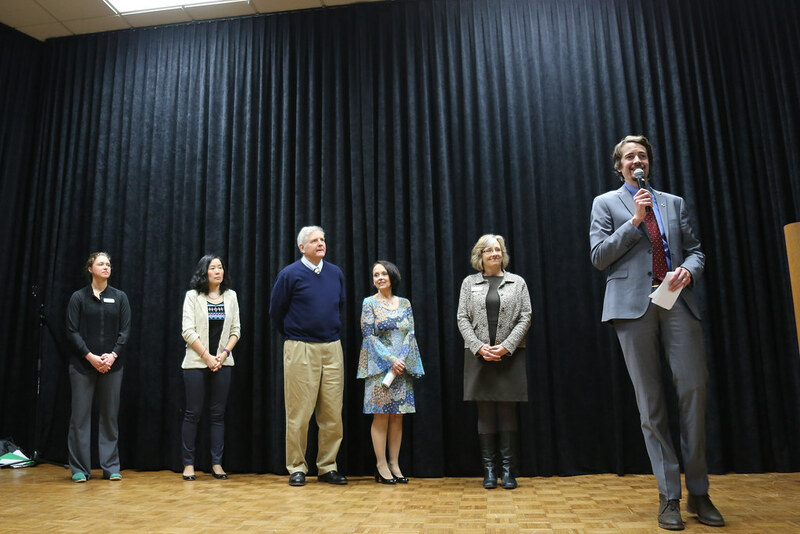 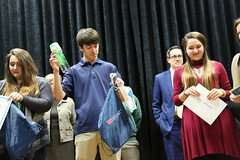 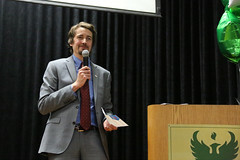 The People’s Choice Award consisted of prizes donated by local sponsors including The Phoenix Bookstore, the Cofrin Library, the University Union and WiSys. 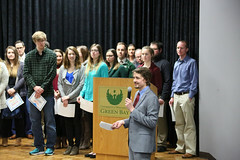 A special incentive was offered to encourage UW-Green Bay student organizations to compete in the competition. 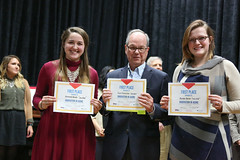 Representatives from Healthy Fork, the Public Relations Student Society of America and the Public and Environmental Affairs Council each took home $100 from WiSys for their organizations for successfully completing the competition. 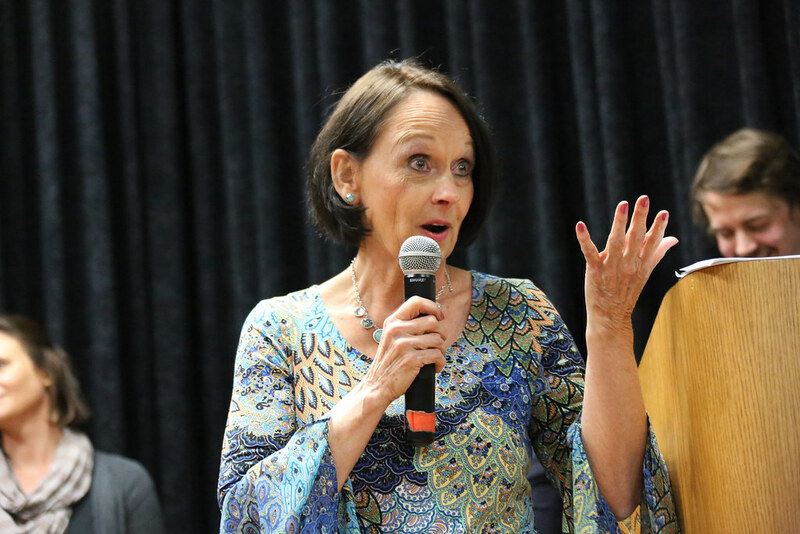 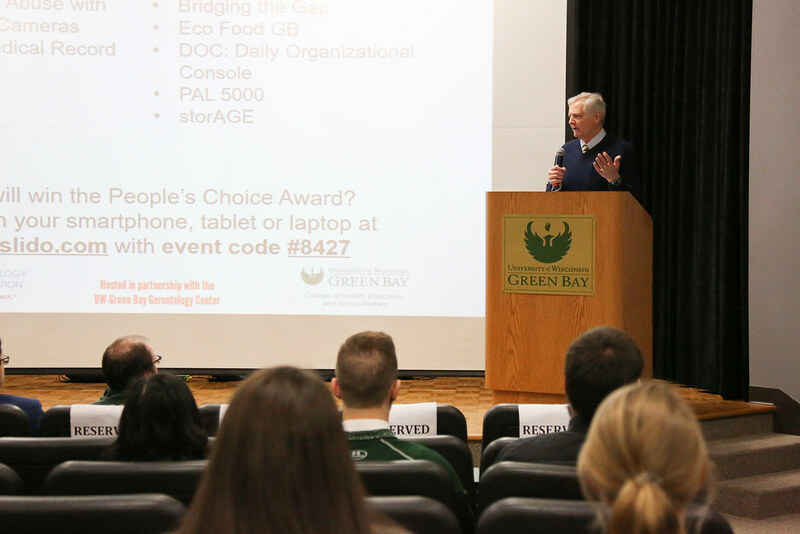 After being met with such enthusiasm from the UW-Green Bay community in its first year, planning is already underway for another iteration of the Innovation in Aging event next year. 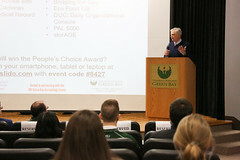 In its inaugural year, the Innovation in Aging planning committee included UW-Green Bay faculty members Doreen Higgins, Le Leannae Zhu, Kyan Kauth and Dean VonDras, Dean of the UW-Green Bay College of Health, Education and Social Welfare Susan Gallagher-Lepak, WiSys Ambassador Kayla Billett, WiSys Regional Associate Mads Gjefsen and WiSys Communications Specialist Bri Maas. 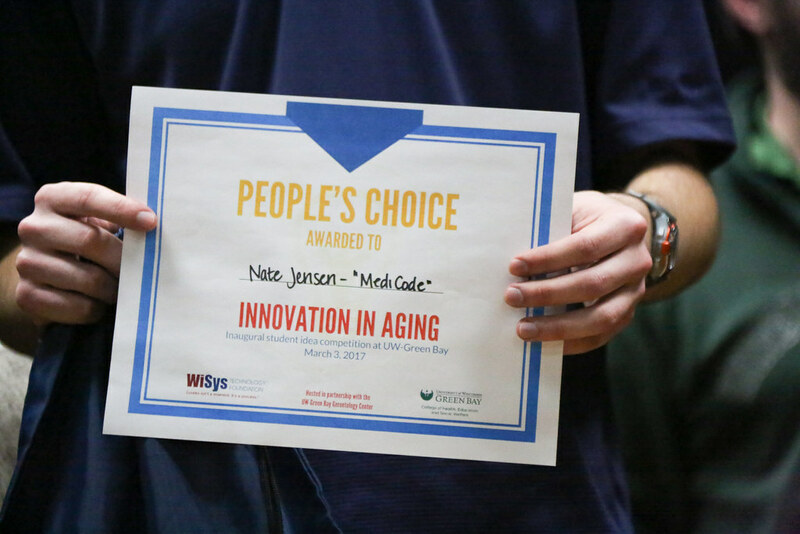 The mission of the competition was to inspire creative thinking and collaboration across academic disciplines to address aging issues and challenges for individuals in our communities. 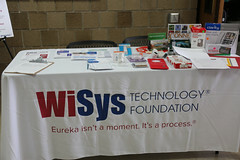 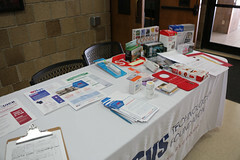 WiSys Technology Foundation is a 501(c)(3) supporting organization of the University of Wisconsin System. 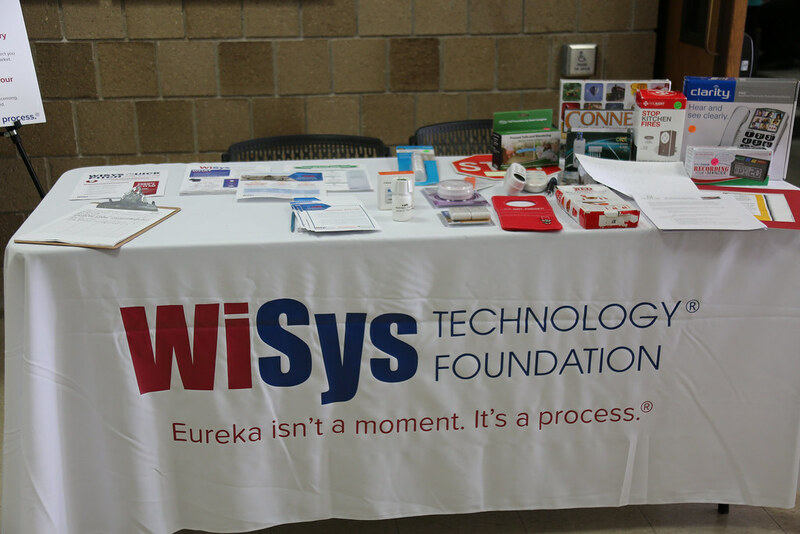 WiSys supports 11 four-year universities, 13 freshman-sophomore UW College campuses and statewide UW-Extension to identify innovative technologies and bring them to the marketplace. This entry was posted in Events and tagged Photos on March 10, 2017 by Daniel Moore.